Home / Plasma cutting equipment / Hypertherm Handheld Plasma cutting machine packages / Hypertherm powermax 105 plasma cutting machines, 50mm capacity. 059422 Hypertherm Powermax 105 Plasma cutting machine, 50mm capacity. 2 Hand torches. 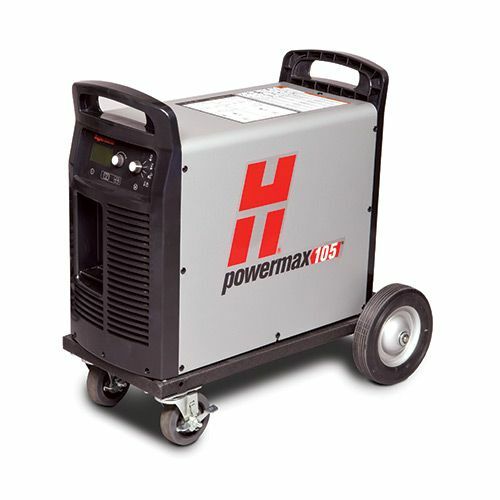 059423 Hypertherm Powermax 105 Plasma cutting machine, 50mm capacity. 2 torches. 7.6m hand and machine torch combination package.